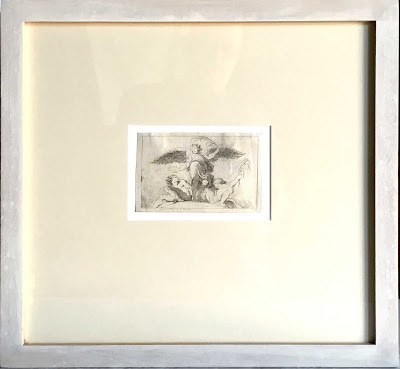 Lettered with location and name of the author of the original painting,and signed on plate: 'frago sc' and numbered "14"
I am selling this framed and exceptionally rare lifetime impression by Fragonard for a total cost of AU$439 (currently US$317.22/EUR284.66/GBP219.04 at the time of this listing) including postage and handling to anywhere in the world. 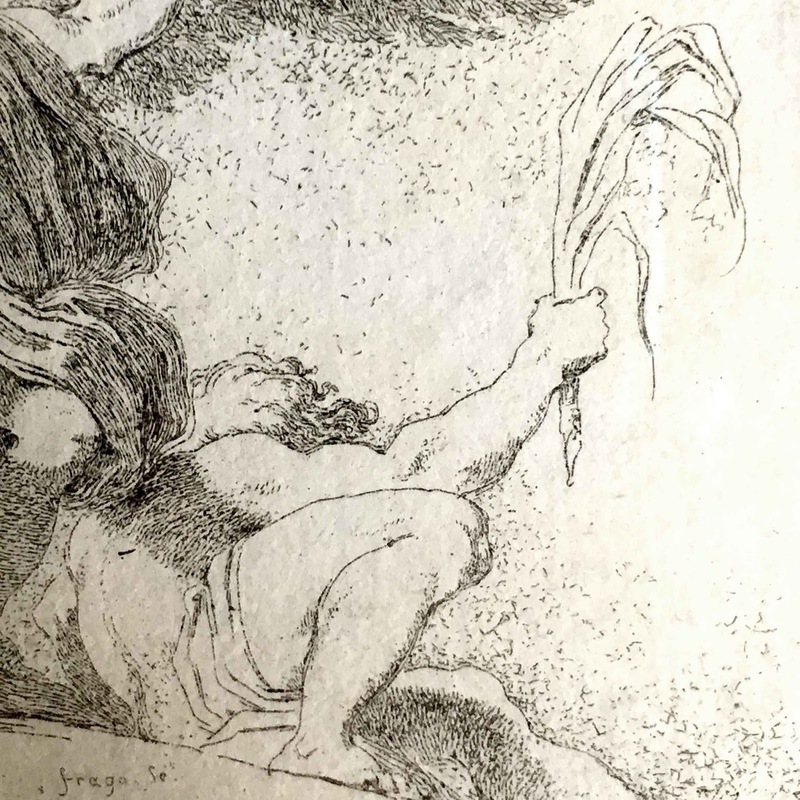 If you are interested in purchasing this rare original Fragonard, please contact me (oz_jim@printsandprinciples.com) and I will send you a PayPal invoice to make your payment easy. 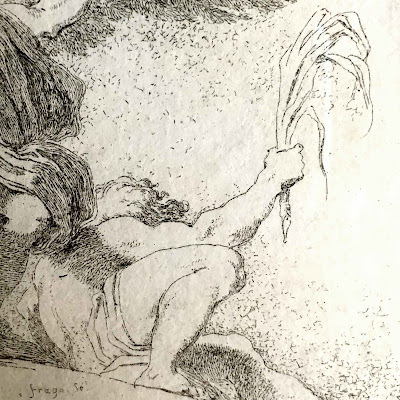 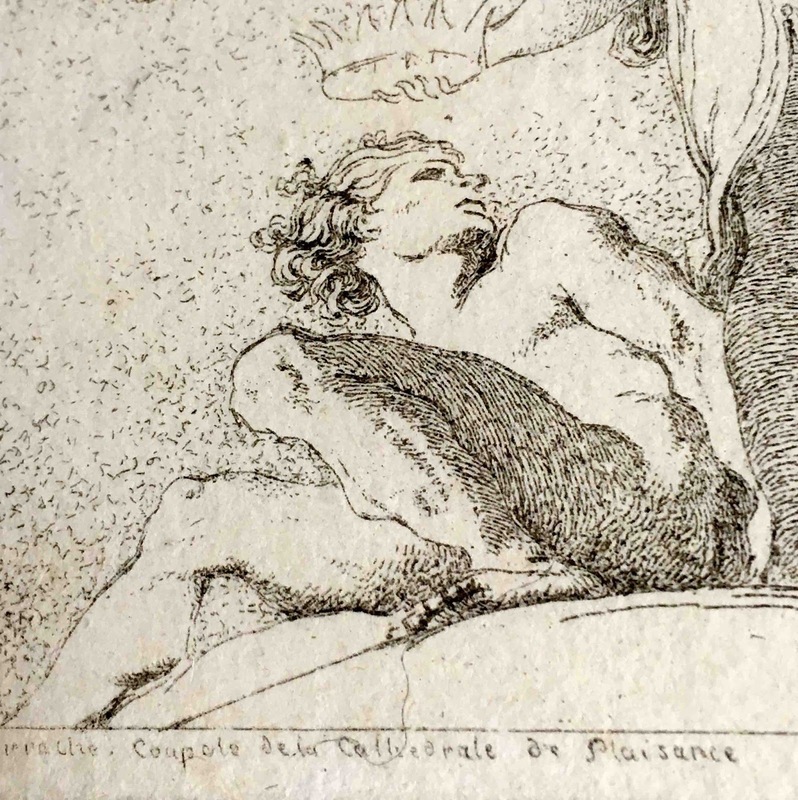 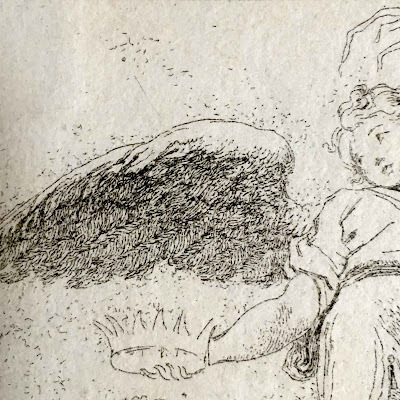 Seldom does one even see an original Fragonard etching and certainly not one as beautiful as this. The print may be small in physical size, but the lightness of the artist's touch and the confidence of drawing showcases Fragonard's stature as one of the most famous French masters of the Rocco period. The subject is based on Annibal Carrache's design for the ceiling dome of the cathedral at Piacenza. 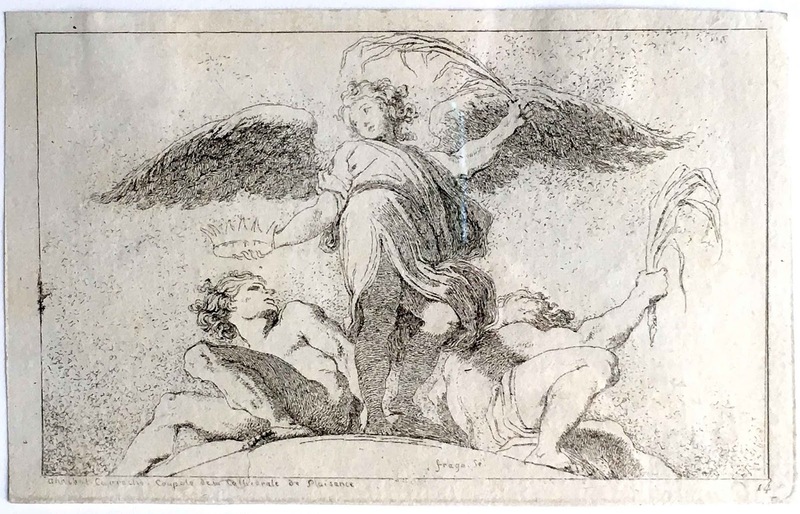 If anyone has had the same opportunity as the cook and I have had to be stranded in the small narrow street medieval and now industrial town of Piacenza waiting for our gardener to recover in hospital, I suspect that seeing the grandeur of such a design would be like a glimpse into heaven. Be mindful when looking at this image that there is a big difference between an angel carrying a palm and crown designed for a ceiling and one designed for a wall. 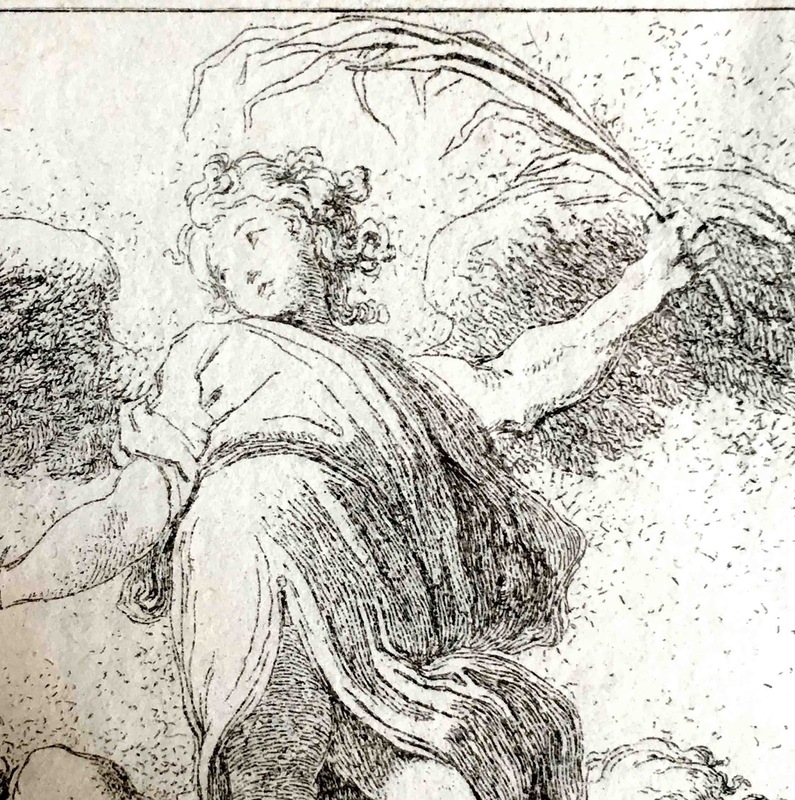 A good design for an angel destined for a ceiling should make her appear to float rather than fall and this angel floats marvellously.